As of Oct. 30th 2013 we changed suppliers of Chevron Vinyl in both small and large patterns. There’s not much difference in the “new” chevron pattern we now have. 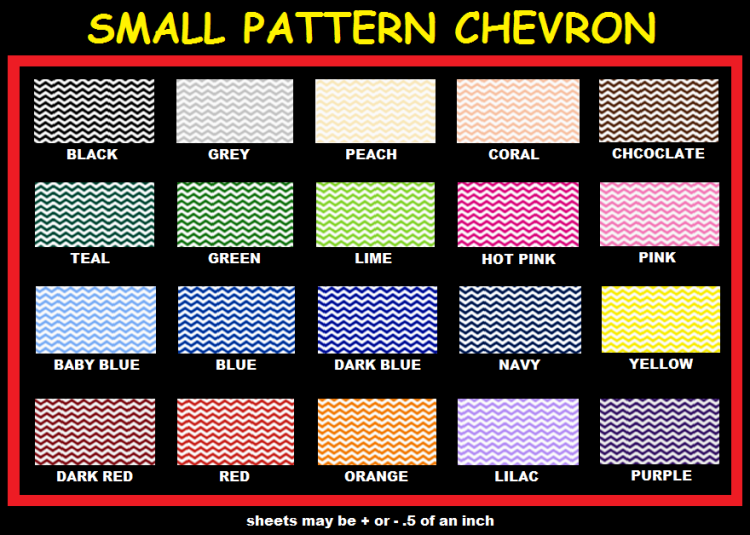 However if you purchased chevron vinyl from us before Oct. 30th 2013 the chevron you will now get may be slightly different (but not much) and the color may be a lighter/darker shade (but not much). The penny in the picture above is for reference only. 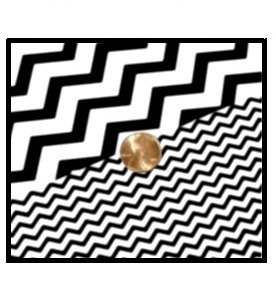 It shows you the small chevron pattern and the large chevron pattern in relation to the size of a penny. 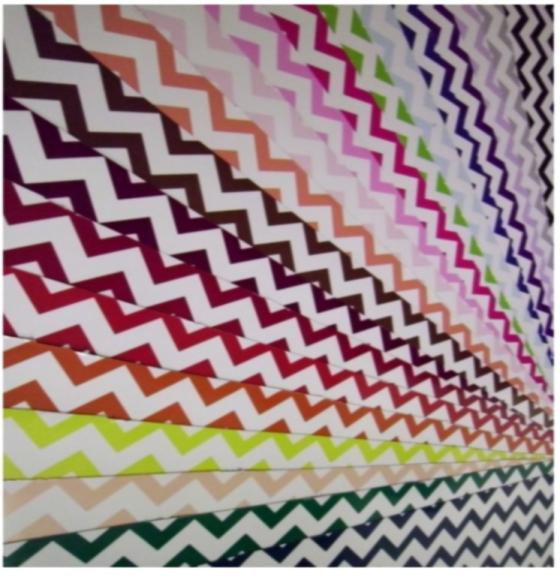 6x12 CHEVRON VINYL Sampler Packs! 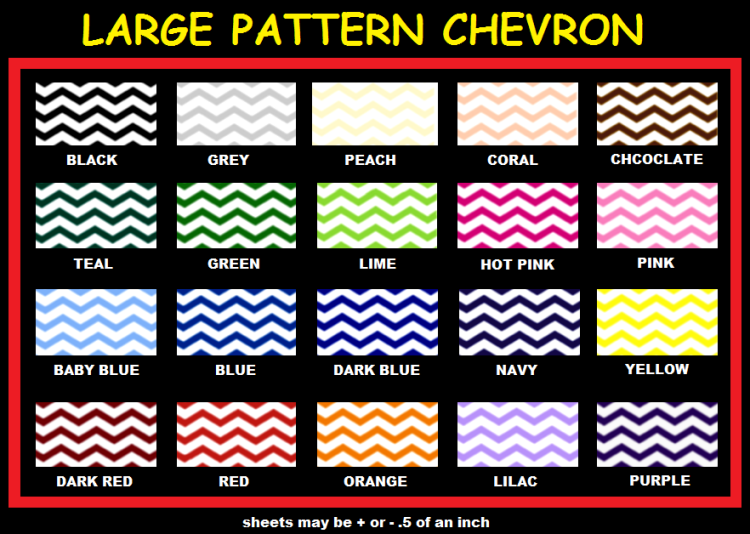 LARGE PATTERN CHEVRON SAMPLER PACK : $24.95, includes: 20 colors , one of each color in large pattern. These 6x12 sheets normally cost $3.95 each, but with this sampler pack you will pay less than $1.24 per sheet! 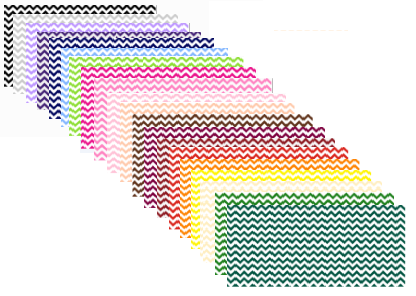 SMALL PATTERN CHEVRON SAMPLER PACK : $24.95, includes: 20 colors , one of each color in small pattern. These 6x12 sheets normally cost $3.95 each, but with this sampler pack you will pay less than $1.24 per sheet!